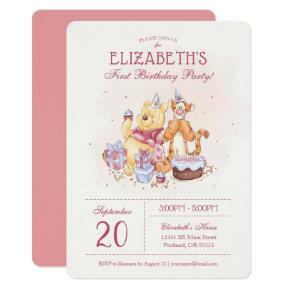 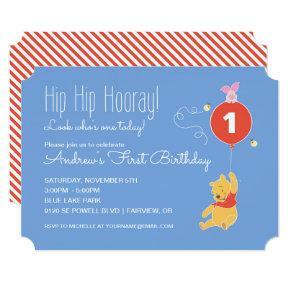 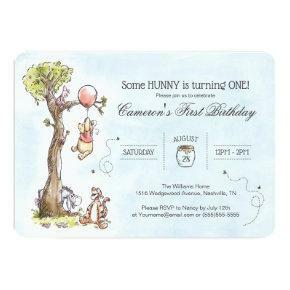 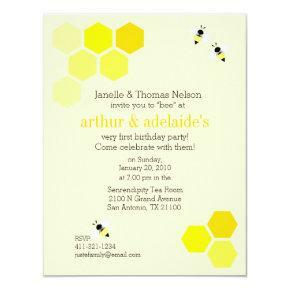 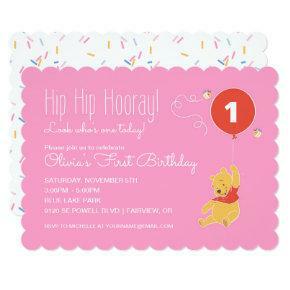 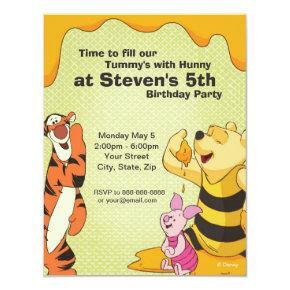 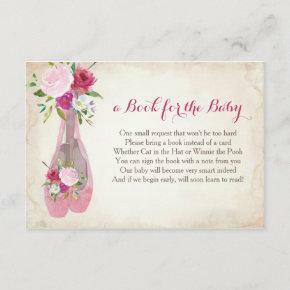 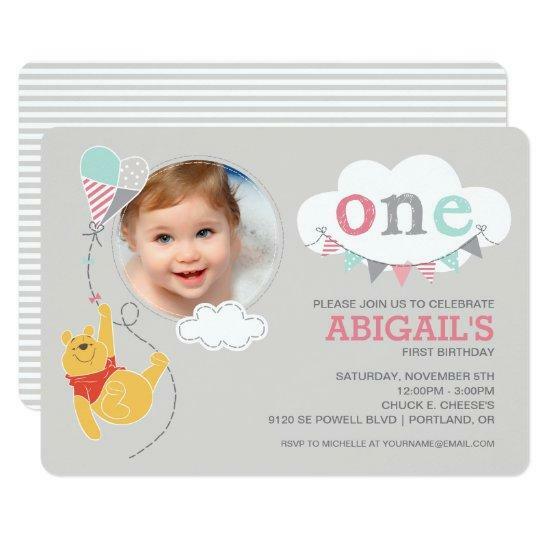 Celebrate your baby&#;s first birthday with these super cute Winnie the Pooh invitations. 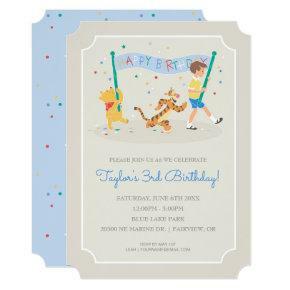 This invitation features pooh along with clouds, a colorful kite and flags. 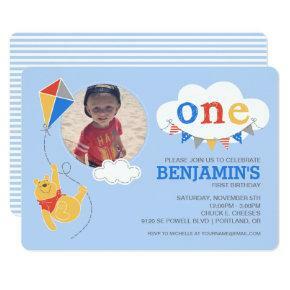 Personalize by uploading your favorite baby photo and customize with all your party details.